It’s been a very busy time and the children are very much in the blue zone. We know they are feeling tired and a little sleepy by the end of the week. We’ve had a lot going on, Christmas is in the air, hanging from the ceiling…it’s everywhere. We’re working extra hard on practising our Winter Concert songs, completing Christmas and Bear projects and dutifully practising our self-regulation strategies. We’ve been meditating on our beautifully decorated Christmas tree, listening to gentle music and breathing deeply. 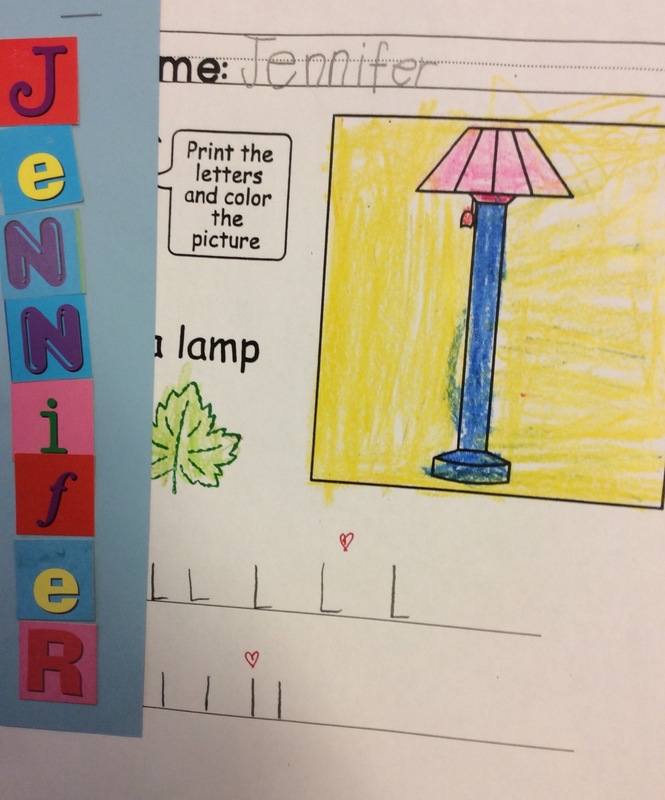 This week is “L is a letter.” We had a lot of fun searching for the letters in our name, the differences between uppercase and lowercase and which way the letters go. We’ve been focusing on subitizing (recognition of a number set without counting) with familiar (dice patterns) and unfamiliar number arrangements to develop the children’s concept of number. 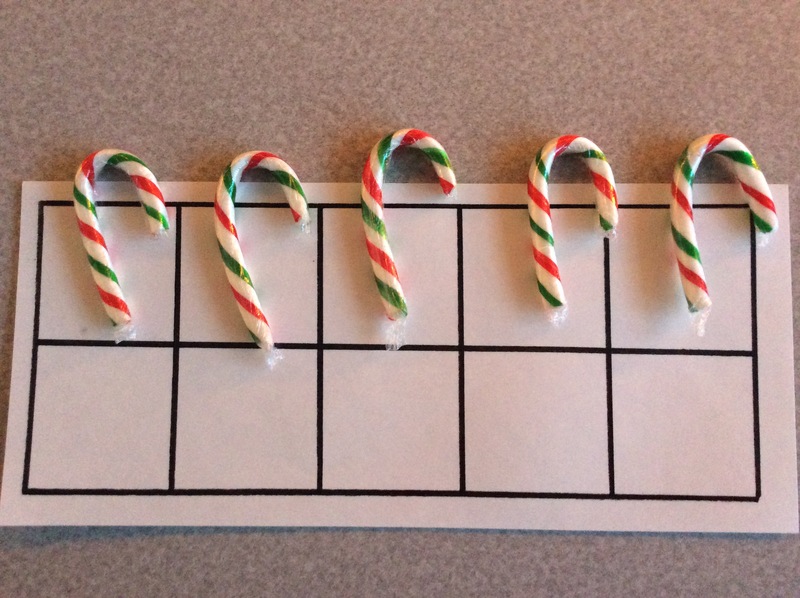 We had some candy cane fun when we counted a box of 100 mini candy canes (it turned out to be 104) to share with our Big Buddies by using the 10 frame as another way to organise a set and count by 10s. 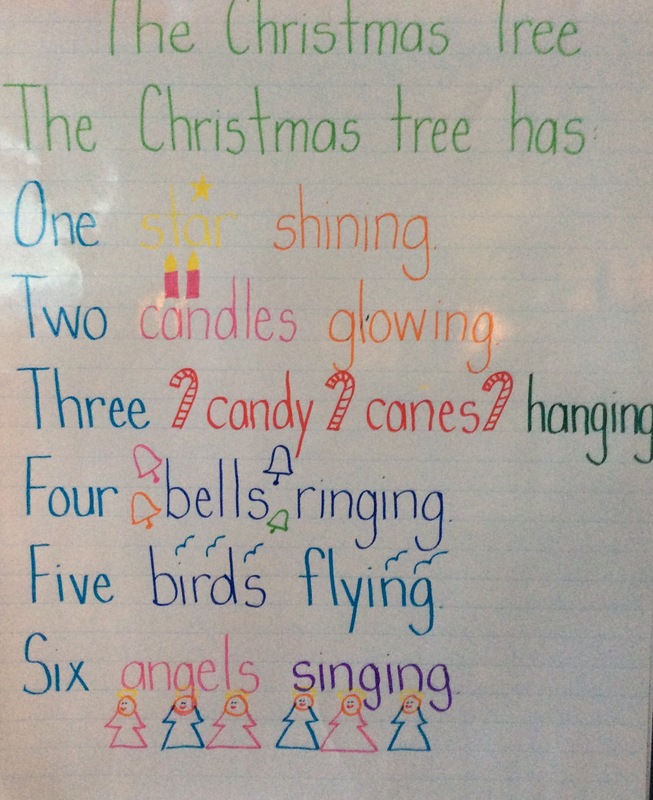 We read a beautiful Christmas counting poem and created our own versions. The last story for our Bear Literary Theme was a familiar favourite, Goldilocks and The Three Bears. It’s always fun to read different versions of the same story and to compare the similarities and differences; this is a great literary activity you can do at home which promotes discussion about the story elements (plot, character, theme, setting) and encourages engagement with books. We’ve been working on recalling the main events and sequencing them in the correct order. 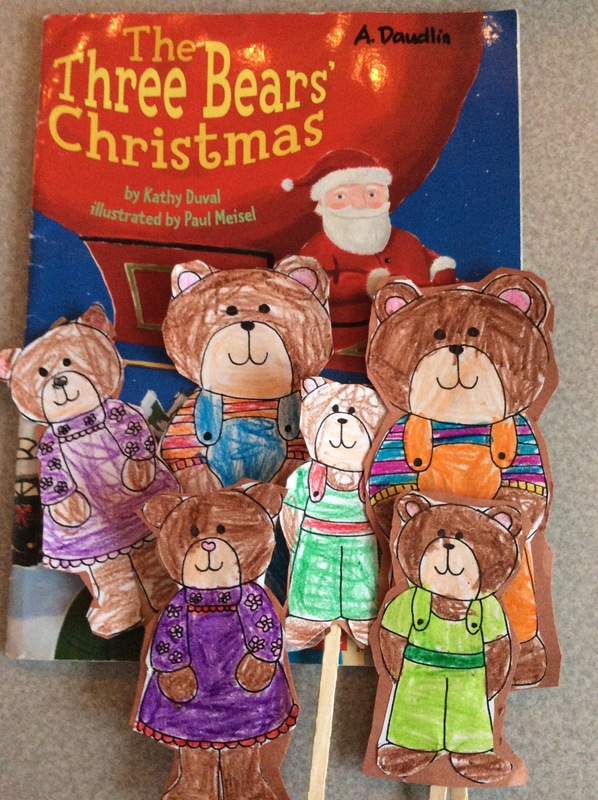 A fun culminating activity for us was to read the The Three Bears Christmas and make our three bears stick puppets. Please return report card envelopes next week. The report and inserts are for you to keep. The rehearsal schedule for our upcoming Winter Christmas Concert has been announced for teachers and it will mean our regular school days will not be quite as predictable as in the past number of months. We will all have to be more flexible (Christy and I keep saying this over and over again to each other). However, this is another opportunity for us to see how well the self-regulation strategies we’ve been teaching in class are working for the children. At home, the children should be getting a proper night’s rest (10 hours), eating healthy and getting as much fresh air and exercise as possible. They will need a lot of stamina and resilience to cope with the next two weeks, combined with the excitement we all call Christmas. Library Book Exchange will be on Wednesday and it will be the last one before the holidays so please return our library books.